Opt It, Inc. completed its relocation to its new corporate headquarters on September 15, 2008 to accommodate future growth and expansion of the company. 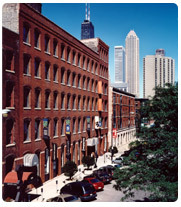 Opt It is now located at 212 W. Superior in the River North area of Chicago just north of downtown. Due to the great customer response of the Opt It Mobile product, expansion into a larger office was aligned with the company’s strategic goals. Expansion will benefit our long term growth allowing us to hire additional resources to better serve our customers on a daily basis. In addition, it will improve the quality of our employees work environment fostering greater innovation in the mobile industry. Previously located at 191 N. Wacker in the heart of downtown Chicago, Opt It has moved a few blocks north into the city’s loft/warehouse district. This new loft space has flexible conference areas, improved facilities for collaboration and ample bandwidth for a growing software company. Our recent growth is attributed to our dedicated customers who have worked with us during the past four years. We truly appreciate your business and the trust you put in us as your mobile experts. We look forward to bringing you the newest and most innovative products in the mobile industry that will allow you to drive your businesses forward. This is a great achievement for Opt It and a sign of great things to come. A new unsubscribe sequence was launched for Opt It subscription programs. We have penetrated various geographical markets and mobile phone users are starting to appear in more than one group on the same short code. In the past, when a user would try to unsubscribe by texting “STOP” to one of our short codes, they were being removed from all their subscribed groups. This was not the desired interaction by the user when they belonged to more than one group. Typically, the user only wanted to be removed from the group that they communicated with last. To overcome this undesirable behavior, we have put the end user in more control over their experience. Now, if a user appears on more than one list we give them the option of which group they would like to unsubscribe from or to respond ALL for all groups. Again, this is only if a user is subscribed to more than one program on a shared short code. This added feature was a result of feedback from our users. If you have any comments or feedback, please let us know – info at optit dot com. Metro is THE music venue to see the best local, regional, national and international emerging artists in Chicago. Since 1982, Metro has accomplished this goal repeatedly and established itself as one of the country’s premier, cutting-edge new music venues. 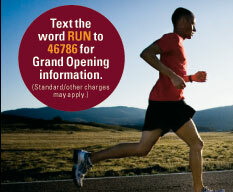 Recently, Metro has deployed text messaging to send out special offers and promotions to its’ loyal fan base. Because of the wide variety of talent that performs at Metro, they needed an easy way to segment their text messaging user base to allow them to send targeted messages to their customers. To solve this problem, Metro used the new sign up form and added a number of interests to the form to allow their customers to select the type of music that they are interested in. This allows Metro to send out very targeted and relevant text messages to get the most out of their text campaigns. View the Metro sign up form. Inserting call-to-actions or text teasers, such as “text VIP to 46786 (IOPTN)”, into your ads is like injecting your ad with steroids. It takes a static print, radio or TV ad and introduces an interactive element to it. This makes your ad dollars work harder and allows you to get a better return on investment. Once a person acts on your mobile call-to-action inside an ad, you create a dialogue with this person over the mobile channel. Now you have taken a static print ad and with no manual effort and have turned it into a direct one-to-one conversation with your customer. This conversation now enables you to ask your customer a question, offer them a special promotion or enter them into a contest. They are now interacting with your brand, which is invaluable. Brings your static ads to life. Your ads become interactive and give you more brand impressions. Allows you to track the effectiveness of your advertisements. You can now measure how many people participated in your text program. In addition, by using multiple keywords or sub-keywords in different ads, you can track which ads are working harder for your campaign. Customer acquisition is always on. As long as your ad is viewable, you have the ability to acquire new customers at their convenience. Opt It has released a new tool for generating sign up forms. This important feature release allows you to create customized sign up forms by selecting different options including colors, fonts, form size and data/interest fields. After you have selected all your choices, we will generate the HTML for you. All you have left to do is plug it into your web site, blog, MySpace page, etc. We have worked to make this as easy as possible. You are free to create as many forms or configurations as you need. One thing to remember is that we do not store your selections. Instead, you can email all your selections to yourself along with the the code you generated. This way, you can store a copy of your code in a safe place in case you need to re-use it at a later date. Another unique feature of this tool is the ability to add and insert interests into a form. Interests are sub-groupings that allow you to segment your list into things that people are interested in – get it “interested in” -> interests. By placing these interests into your sign up form, you are segmenting your list as soon as a new customers registers for your text list. You can send that customer targeted promotions right from the beginning. SMS is becoming more and more personalized and we will be sharing additional information about that in future posts. So, give the new sign up form generator a try and let us know what you think.